Singapore’s Changi Airport is one of the better Asian aviation hubs to spend the night in transit. If you are in need of a bed nearby the airport for the night. 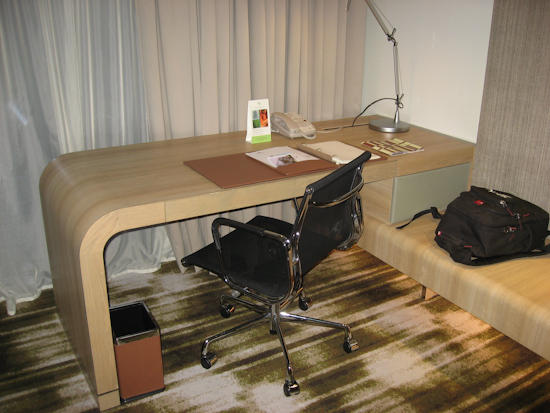 Here’s a quick guide as to your Singapore Airport Hotel choices. 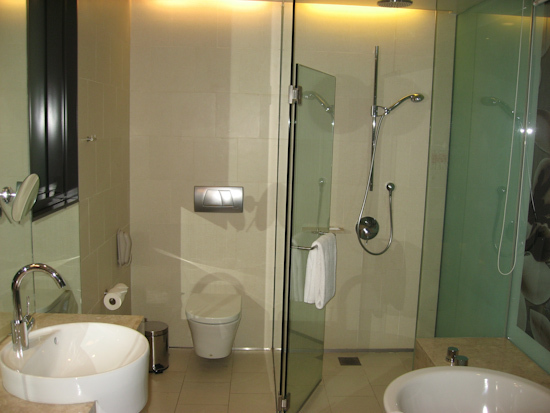 If you want to stay in or near Singapore’s Changi Airport while you’re in transit, you have three choices. The Ambassador Transit Hotel inside the airport itself, the Crowne Plaza hotel located in Terminal 3 and Changi Village hotel located a 10 minute drive away. There’s actually also a fourth choice of simply heading in Singapore itself, as the airport is conveniently located and transport links extremely efficient. 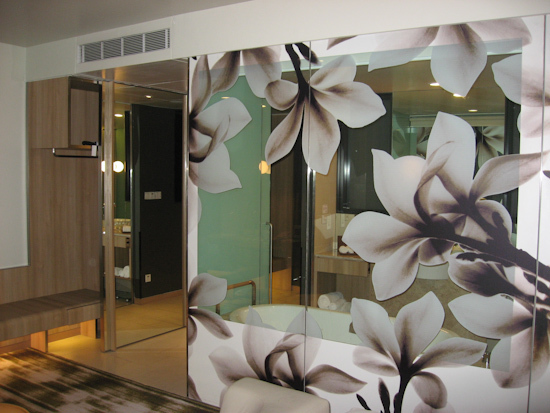 Singapore Airport’s Ambassador Transit hotel is the logical choice if you are just passing through Singapore airport. You don’t even need to check through immigration – you can simply stay within the airport boundaries themselves. However, if you are flying with Air Asia, you are out of luck, because the hotel cannot ensure your baggage is looked after when it arrives at baggage reclaim. (As you won’t be going through Immigration, you won’t be able to go to Baggage Reclaim either). With the full-service airlines, you can get your bags held over and transferred for check in. The Ambassador Transit Hotel doesn’t tell you about this problem until after you send a reservation enquiry – why they don’t state it up front on their website and avoid wasting everyone’s time is a mystery to me. Assuming you can sort out this requirement, the Ambassador Transit Hotel is located in all three terminals of Singapore Airport. 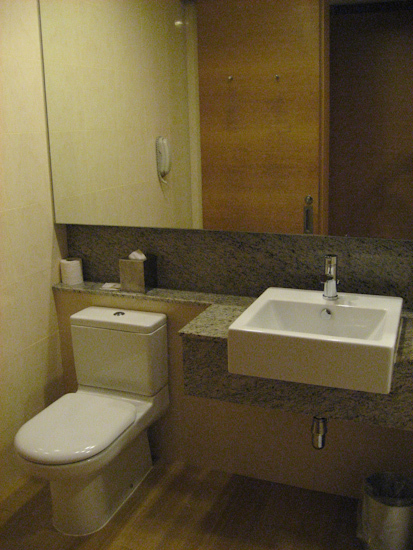 The Ambassador has cheap rooms with communal toilet and shower facilities and more expensive ensuite rooms. Prices break down to an initial block of 6 hours and then charges for each hour afterwards. At the time of writing, the Ambassador charges around $S70 (Singapore Dollars) for 6 hours for a standard room, and $S15 per extra hour. 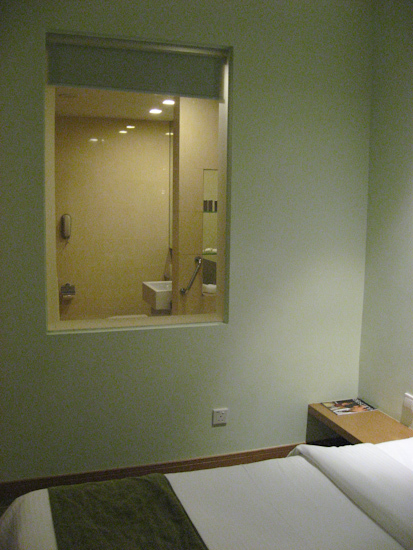 The cheaper, communal rooms start at around $S45 for 6 hours. 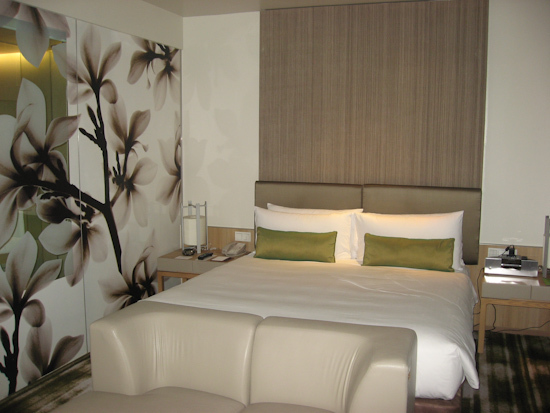 If you are staying any longer than 6 hours, it’s definitely worth checking current prices at the Crowne Plaza Hotel Changi Airport and Changi Village hotel (as described below) as they sometimes are not much more expensive and the Crowne Plaza in particular is also located in the airport. Located in Terminal 3 of Changi Airport, Crowne Plaza is extremely accessible – if you’re not already in Terminal 3, just go there on the Skytrain from the other terminals – you can take all your luggage on a trolley with no problems. The hotel entrance from terminal 3 actually brings you into the hotel on the 1st floor, so you need to get the lift to get down to the ground floor lobby and check in. The hotel itself is very posh, and the room I was given was superb, although it did feel a bit over the top. 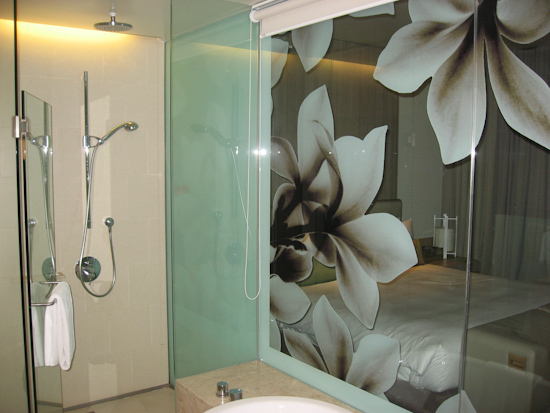 what with the glass walled bathroom. The workdesk and chair were great as was the sofa at the bottom of the bed for watching television. The rainfall shower was hot and powerful. I was initially concerned about hearing the planes as they are audible from the open air corridors, but once in the room there’s no noise at all. 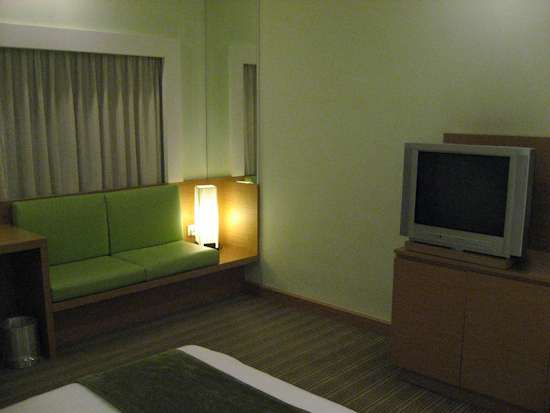 Changi Village hotel is located about 10 minutes drive from Singapore Airport by taxi in Changi Village. I stayed here because on one of the particular nights I needed to be near the airport Crowne Plaza was charging something like double their usual price. The taxi costs approx $15 Singapore dollars each way so add that onto the room cost. 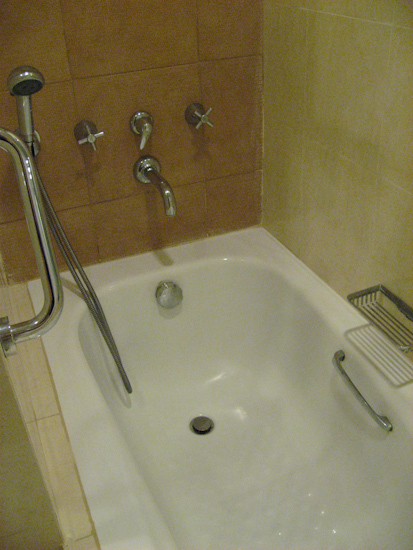 Changi Village hotel itself is very pleasant – the room was great, spacious, quiet, clean, powerful rainfall shower and comfortable bed. You can also walk into Changi Village direct from the hotel – it’s about 5 minutes to a group of bars, cafes and local restaurants, as well as a 24 hour convenience store called Cheers. The hotel staff were also very efficient, friendly and helpful, ordering me a taxi for a 5.30am departure that arrived on the dot, while two hotel members of staff helped me with my luggage. 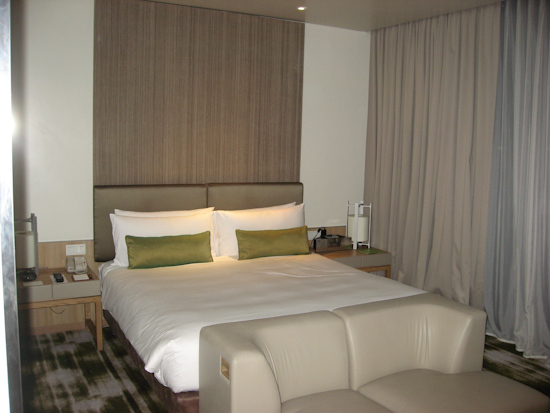 I actually preferred this hotel to Crowne Plaza, especially because you can stock up more easily on non-hotel priced food and drinks in the village, but there is often not much in the pricing between the two hotels. 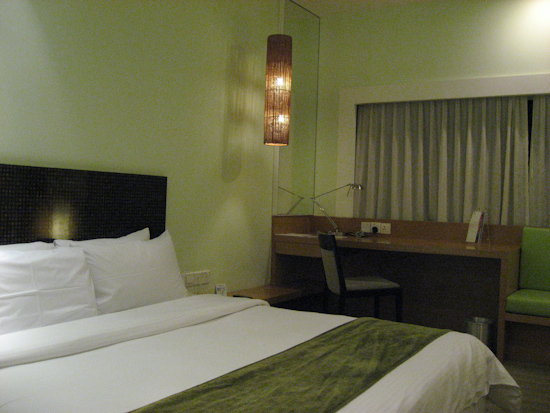 It’s definitely a great second choice if the Crowne Plaza is not available or charging premium rates for certain days. If you have more than a few hours at your disposal and are feeling energetic, consider heading into central Singapore and exploring the city for an afternoon or evening. There’s a wide choice of hotels in Singapore’s city centre, and there’s also backpacker hostels too. I’ve stayed in the Ibis Singapore when it first opened which was nice (although it’s quite pricey now) and the business orientated Furama City Centre which I got at bargain prices through Agoda’s Singapore Last Minute Hotel Deals page a couple of times, but it’s a bit old-fashioned. 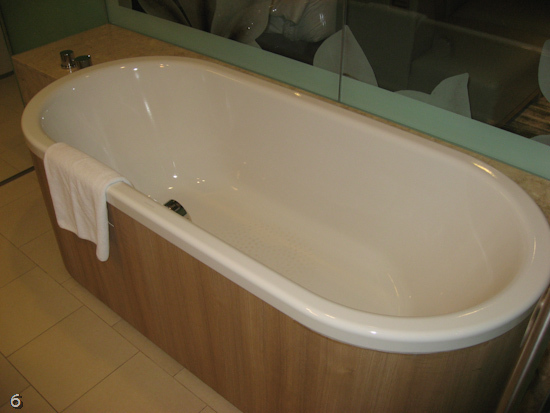 The Hotel 81 chain is the main budget hotel choice in Singapore, and their various properties are a mixed bag – check the reviews of previous guests carefully. It’s possible that the newly opened Singapore Casinos at Marina Bay Sands and Resorts World Sentosa World start offering cheap rooms – but don’t hold your breath. (It’s worth visiting Marina Bay Sands just to go and see the incredible SkyPark observation deck). It takes only half an hour from Singapore Airport to central Singapore which costs around $30 Singapore Dollars each way. (You can also get the Singapore Airport Shuttle bus which will drop you at the door of your hotel for $10 Singapore Dollars. You can arrange pickup from your hotel by the shuttle for the return journey too. Look for the Airport Shuttle signs in the Singapore Airport’s well-signposted terminals). Singapore City Centre is quite compact and easy to get around – the Clarke Quay and Riverside Point area in particular is a great place to have a drink or meal and watch the world go by. Singapore is so incredibly efficient that getting to and from the airport is not really a problem, so while you should leave some margin for error, it’s not like you are going to get stuck in huge traffic jams (which is a distinct possibility in other Asian cities). Therefore you can fit in a few hours of sightseeing without any stress if you have the energy to do so.